Will Accepting a Settlement Offer From a Credit Card Company Affect Your Credit Score? Accepting a settlement offer from a credit card company will negatively impact your credit rating and lower your credit scores. The reason for this is that when a settlement occurs, a creditor has agreed to accept less than the full amount of money owed to it – even though the creditor, internally, will consider the balance as paid. Externally, however, two potentially harmful things occur for the consumer. First, the creditors immediately reports to the credit bureaus that your account was “Settled” “Settled for Less Than Owed,” or “Paid by Settlement” – all of which tarnishes your credit records with Equifax, Experian and TransUnion. Additionally, any amounts “forgiven” during a settlement are usually reported to the IRS. When this occurs, the IRS considers monies “saved” during a settlement to be income. Therefore, you also therefore have to pay income taxes on the amount of money you “saved” during a settlement. 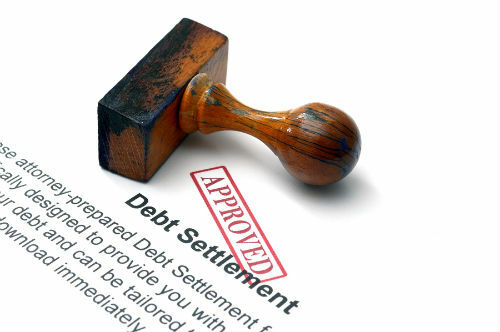 If you have “settled” any accounts over the past seven years, through direct negotiation with creditors – or perhaps as a result of using a debt settlement company – you should check your credit files to see how those settlements were reported. One of the most important sections of your credit report is the “Status” references to whether you’ve paid your debts on time, or whether you’ve been late – and if so, how late. Upon examining the “Account Summary” area of your credit report, that is where you will find “Status” notations. Negative information will most commonly be stated as 30, 60, 90 or 120-day late payments. Other negative comments include: “Collections,” “Settled,” or references such as “Paid, Was 60 Days Late”. If an account has been “charged off” or written off by a creditor as uncollectable, that fact will be noted too, typically along with the dollar amount charged off. In short, any notation in your credit file that indicates that you did not pay your debts exactly as originally agreed will be viewed negatively by credit-scoring firms, and potential lenders.